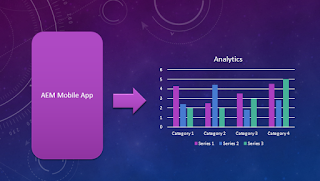 Adobe marketing cloud provides direct ways of accessing AEM Mobile data to Adobe analytics. There are set of basic configuration available in AEM Mobile on demand portal. Set of parameters defined as part of article or collection or app related are directly available in Analytics once configured. For e.g. article title number of views, collection title views etc. 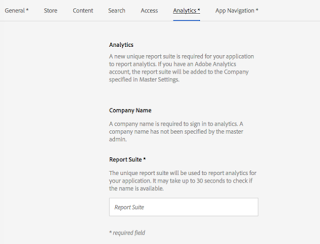 You need to have license for AEM Mobile portal and Analytics essentials to configure AEM Mobile with Adobe Analytics. 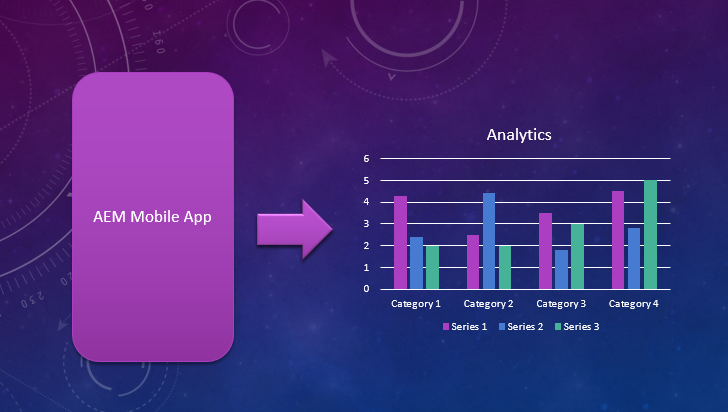 How to cnfigure Analytics in AEM Mobile On Demand portal? You need to be an Admin of AEM Mobile portal for this configuration. Also trial accounts will not have this option enabled by default. In On Demand portal click on master settings, General Tab. If you have an existing Analytics account, enter your Analytics company name, username, and password. Click on Verify And Save. If there is no Analytics account, click Request Account. You will receive an email message with instructions for setting up your Analytics Essentials for Apps account. Usually it takes a day or mre to get the analytics report configured for the account. Once the analytics account is done, mention the Report Suite name for the project you create in Analytics tab[Project Settings>Analytics tab]. Login to Mobile Marketing and sign in.. Select Manage Apps > All Apps> Add Report Suite drop down add report Suite ID that you provided when setting up your project in previous step. Once all configuration are done, rebuild the app. Rebuilding the app is required in order to pick up any configuration changes made in the Mobile Marketing Dashboard. How to view the Analytics reports? 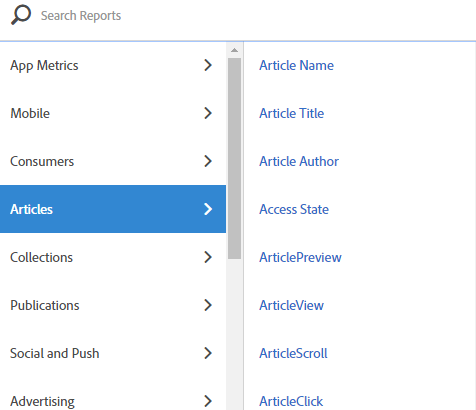 Click 'Analytics' in the left menu rail and then click the appropriate link to sign in and view analytics data. 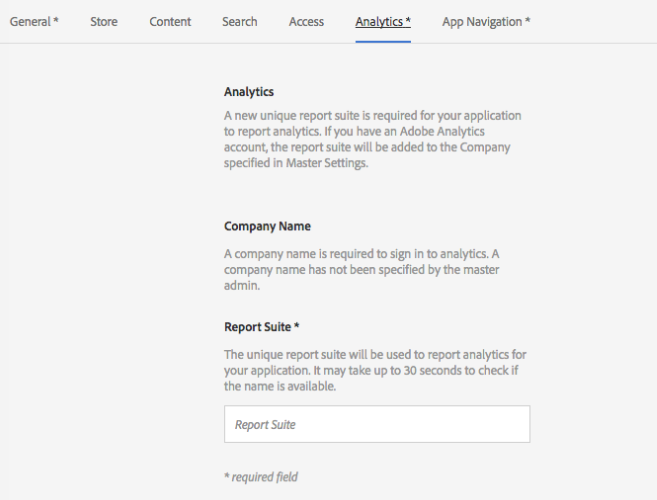 2 Adobe Analytics account: Login to https://my.omniture.com/login/ and view the reports. 1. Can we try analytics in AEM Mobile trial accounts? No. You need to purchase license for Analytics configuration. 2. Analytics data can be collected in offline? Yes. Analytics data is collected no matter users are online or offline. 3. Does analytics work on Preflight? No. Analytics data is not collected for preflight apps. 4.User has opted out using settings in App. Is there any default option to enable him Opt-in? No.we need to enable an opt-in option when you build your app.